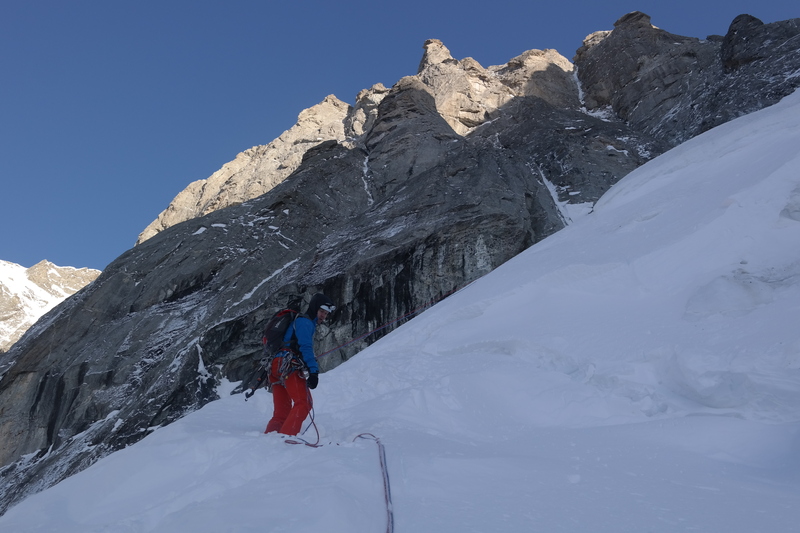 Can alpine climbing be pleasant and relaxed? I have a bad habbit to aim big every time I go to alpine. Reason for that might be the place where I live. 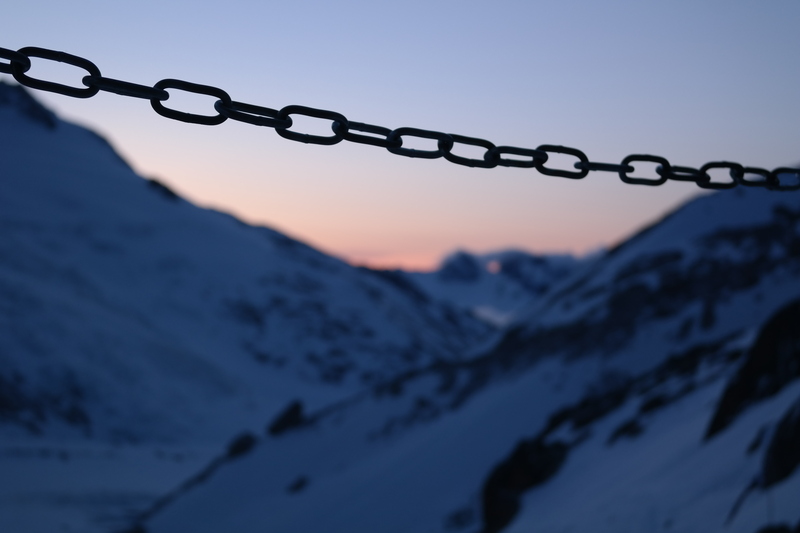 In the land of single pitch routes: Finland. Anyway Juha had just arrived to Chamonix and we decided to start with something easy. Charlet-Ghillini and Madness tres mince were supposed to be in good condition, so we skied to the Argentiere refuge in a super strong winds a day earlier. Is this Sarek or what? Next morning saw us skinning up to the far end of the glacier. Pointe de Pre de Bar seemed to be a lot wilder place than I expected. It reminded peaks in Alaska or something. 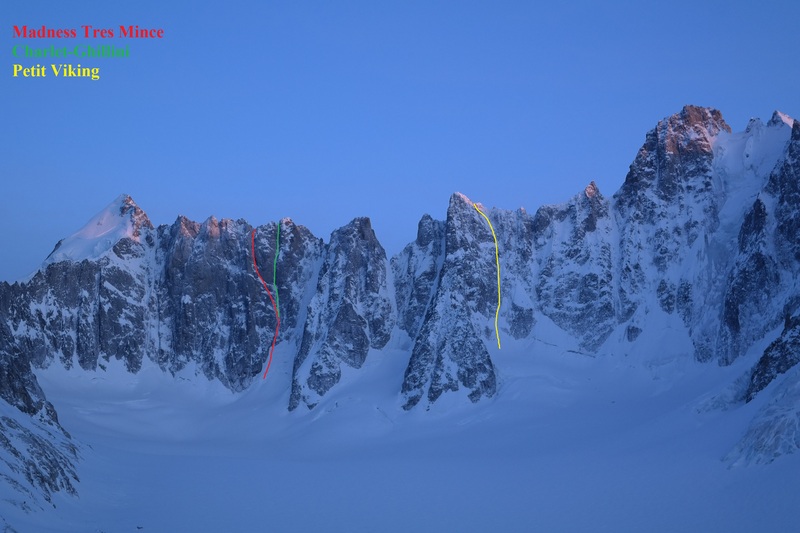 Classic goulottes in the far end of the Argentiere basin. Couple of hours later we stood at the Brecche, just having climbed the Madness Trec Mince. Five hundred meters of moderate mixed climbing. Very enjoyable. 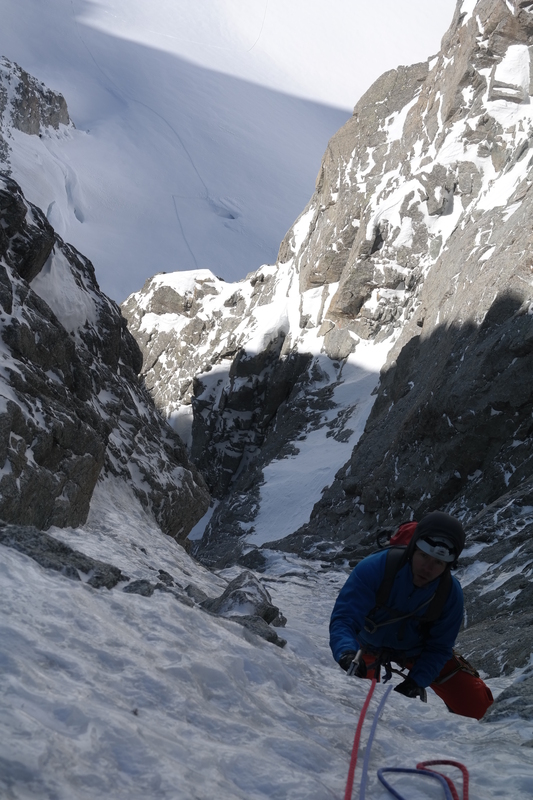 Dark shadow visited us briefly during the abseils as other team dropped some big rocks down the narrow couloir. Another reminder why we don`t want to climb routes with other people. When you see climbers ahead of you, on a narrow route, change your plans and pick a diffirent route. 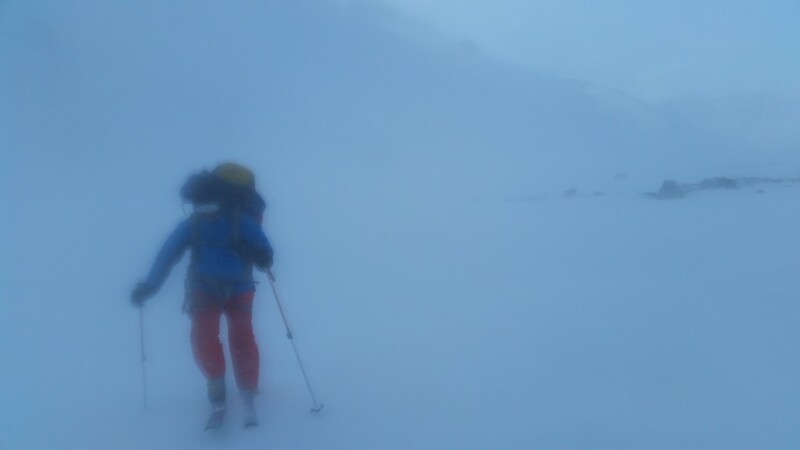 Juha seconding below the mid-height snowfield. Upper ice runnels and very AK like feeling. 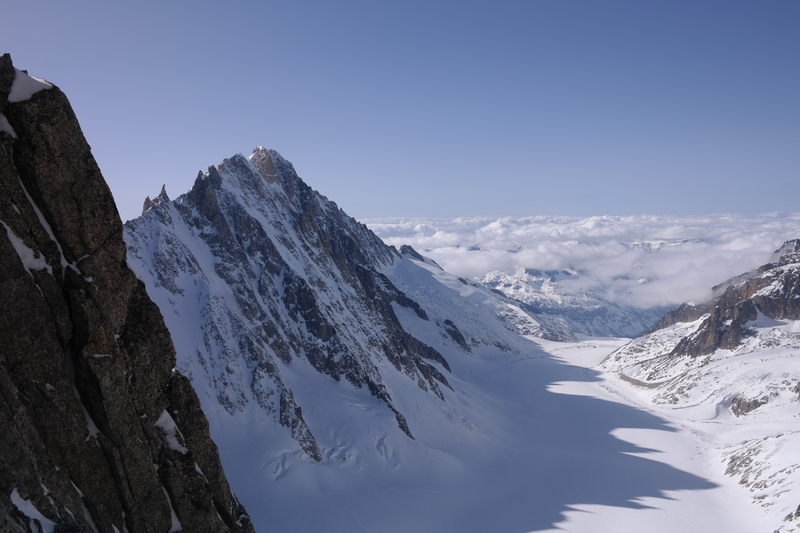 View from the Brecche to the Argentiere glacial basin. 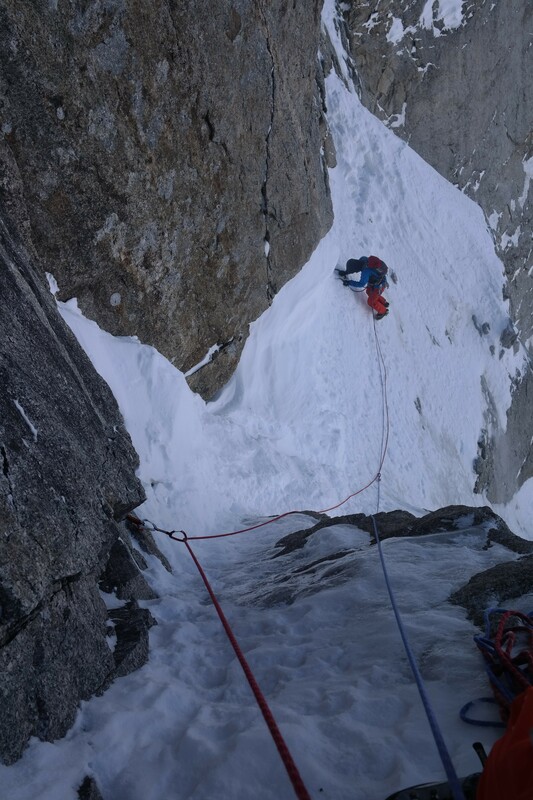 I reccomend to do MTM or Charlet-Ghillini if you want a relaxed day, full of good goulotte-climbing. Both of them are doable from the first GM lift. Juha rappelling over the Schrund.